I love teaching the Bible! During the 16 years we have been in Guatemala serving as missionaries, I have had a variety of roles. As the mother of 6 children, for many years that took up the majority of my time while Tim was more active in ministry. However, as the children have grown up, our oldest is off to college and our youngest is in first grade, it has become possible for me to get more and more involved in ministry on a daily basis. 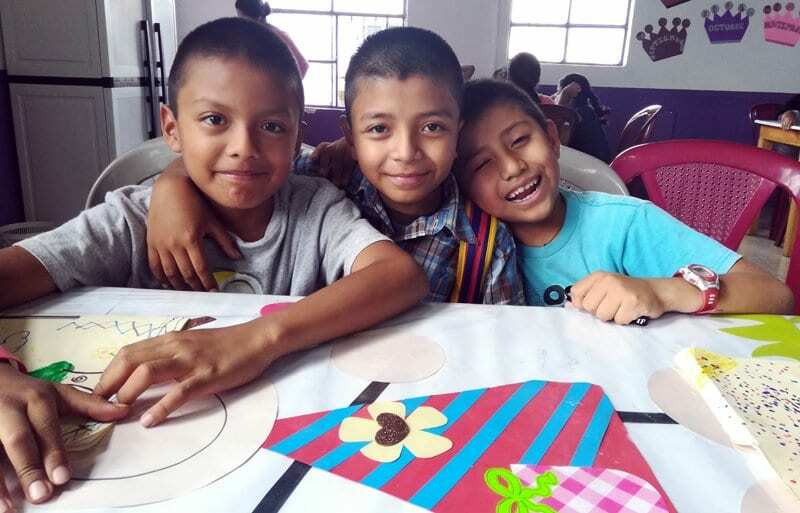 From running a discipleship group at an orphanage, to teaching cooking classes to vulnerable kids, from teaching, training and pouring into the staff who work in our ministry, to comforting children in difficult times, my work includes a variety of tasks throughout the week, all of which I enjoy. However one of my favorite times in the week is when I get to sit down with mothers of students who are enrolled in our community center in Colonia Santa Fe, one of the infamous, dangerous “red zones” in Guatemala. There is such brokenness in their lives, yet such beauty at seeing how God is alive and present with them. Pouring into the parents is an important part of our ministry to these families. It includes spiritual formation, educational reinforcement, and family strengthening. I take seriously my responsibility of teaching the Bible. I want to make sure that I understand it well, know the context of the passages in scripture, and am sharing it in a way the is relevant to the culture in which these women live. There is something about teaching others that helps us understand things better for ourselves and there is something truly special about diving into God’s Word with new believers (or perhaps people who have known about God for years, but never truly “known” him) and seeing a light come on in their hearts as they get a glimpse of His beauty and start to see His majesty! Having those moments myself, and seeing those I am teaching having them in their lives, makes me realize that even though I am the teacher, we are all on a journey of getting to know God better. Here are a few of the stories that the women in our group have shared. “Maria” has had a difficult marriage for many years. Her husband has been cheating on her and she found out that he has another family on the side. Dealing with that has been incredibly difficult as he does nothing to support her and she has been struggling to make ends meet. One day she was filled with rage against him and thought about how easy it would be to kill him while he slept. As she contemplated doing this she saw a white figure of light pass in front of her and it shook his finger at her in a no fashion. She immediately felt that this was a message from God to stop her from what she was about to do. She turned away from the thought and immediately felt that all her anger and hatred had left her and she was free of it. 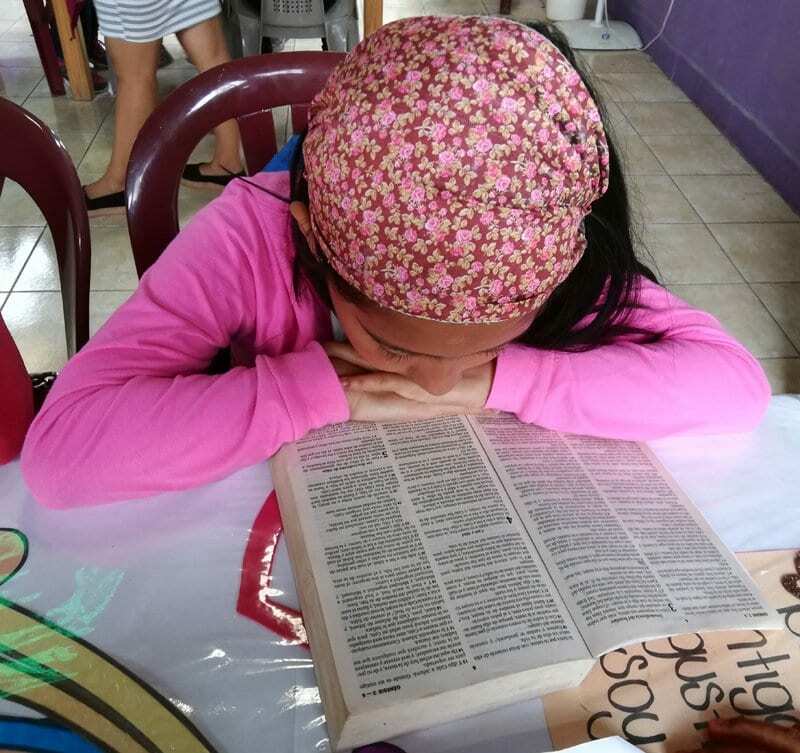 This motivated her to learn more about God and come to study with us. “Alicia” is another mother in our Bible study. She is an incredible woman; sweet, humble, gentle and the most faithful to attend. She has an incredible life story. She grew up in extreme poverty which caused her to become angry and hot tempered. She used to carry a gun, and even after she got married she always kept it by her side. When she got into fights with her husband she had no fear of pulling it on him and threatening him with it. But one day, after coming to Christ, God spoke to her heart and she felt an urge to get rid of the gun. She walked down to the ravine near her home and threw her gun off the cliff; with it went all the rage and anger she had carried in her heart all her life. She is incredibly grateful that her family is served in our ministry; both her children in our afternoon programs, and the Bible classes she gets. She told us that while there are many women in the neighborhood who would like to study the Bible and learn about God, most churches charge for the classes they give, which means that for those of limited means, who can’t come up with the one or two dollars necessary, learning about God is incredibly difficult. Little by little something special has been happening in our Bible study group. It has turned into a place where the women feel safe, secure and able to talk about their problems. It has been wonderful to see women, who have only been attending a short time, open up their hearts and share what they have gone through, exposing the depths of despair they’ve been in, yet explaining how they can seen God in their lives and that He is manifesting Himself to them. Seeing that God has been there for them, working in their hearts and lives to bring them to this point is such an incredible thing. It makes me feel so alive when I realize just how privileged I am to meet with these sisters in Christ to study God’s word. Hours fly by as we hungrily delve into God’s truth and we learn just how amazing our heavenly Father is the desire of everyone is to learn all we can about him. I’m not sure I can quite express the absolute joy that wells up in my heart during these times—joy, at realizing that God can even use a messed up sinner like me, to point others to Him, to glorify His name so He can bring healing to hurt and broken lives in a fractured and broken world. 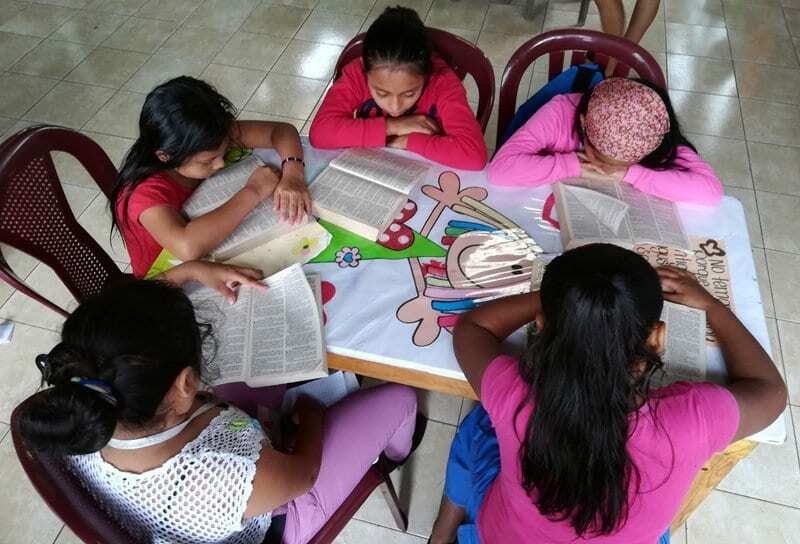 I love that not only do we study God’s word in class, but I get to see them putting it into action in their daily lives. One morning, after having concluded our class for the day, Alicia asked me if I might possibly have time to accompany her to visit and pray for a young women who is a new mother. It was someone who we had prayed for in our meetings. She had met this women, really a 16 year old girl, when she encountered her standing by the edge of a cliff ready to throw herself off in despair over having gotten pregnant. Alicia told me that evidently it is quite common in the community for women who don’t want a baby to kill them or let them die. Thankfully, she was able to convince the woman, not just to keep her own life, but also to agree that if she felt that she couldn’t care for the baby, to let her know, and instead of killing it, to let her care for it. This young women didn’t jump and recently had her baby. I decided to run to the “Tienda” or corner store to purchase some items for a care package for her and when I returned I saw Alicia had a bag of food in her hand as well. Now she is a women of extremely limited means and had just lost her job, I knew she didn’t have much, in fact we had spent part of the morning praying for God to supply for her as she had been let go from her job without even having been paid for her last month’s work. In that moment I was truly humbled. Here I was, happy and content to be giving from the extra I had, and this mother was throwing in her “widow’s mite” (Luke 21:1-4.) She had little, yet from her little she gave all, trusting that God would provide for her. These women. They may be simple. They may be poor. They may be from a different culture or even from a different “social class” and not have as much knowledge or understanding of the Bible as me, yet they take seriously the word they do know and strive to live it out, and it is an honor to be living life with them. In truth, as much I am teaching them, I think they are teaching me even more. This my friends, is God’s word coming alive, not just in a Bible study or church service, but in people’s daily lives and that is why this is my favorite time of the week. While every individual needs to obey Jesus’s call to follow Him, we cannot follow Jesus as individuals! The New Testament is full of commands to do this or that for “one another.” Love one another, pray for one another, encourage one another, etc. So how can we teach people to “observe all that I have commanded, if they have no one to love, pray for or encourage? It’s impossible to “one another” yourself. I have discovered the truth in this personally. As you pour into others and disciple them you might just experience God like you never have before and it could become your favorite time of the week as well!